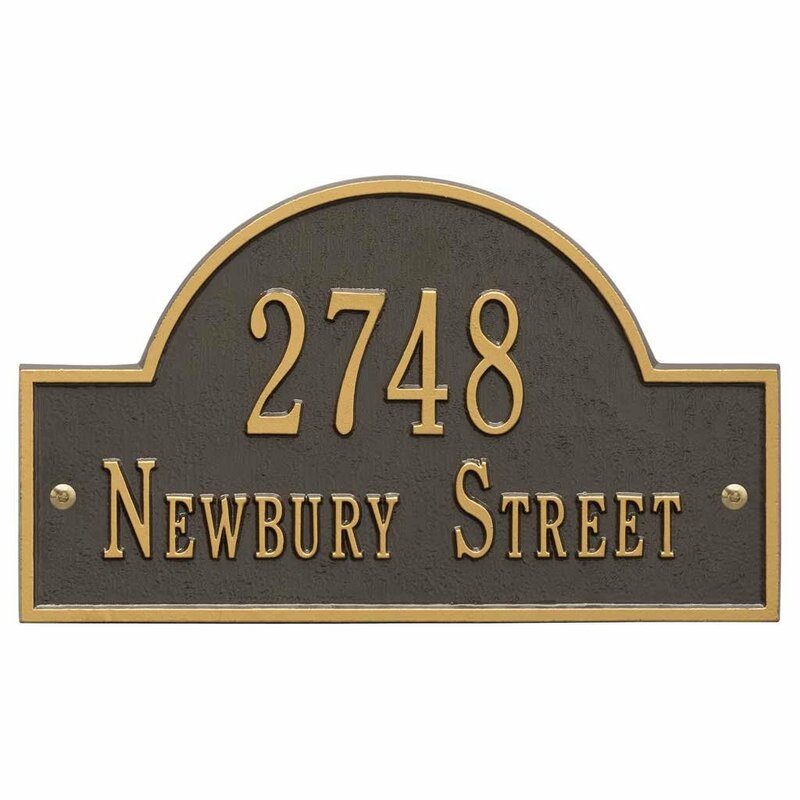 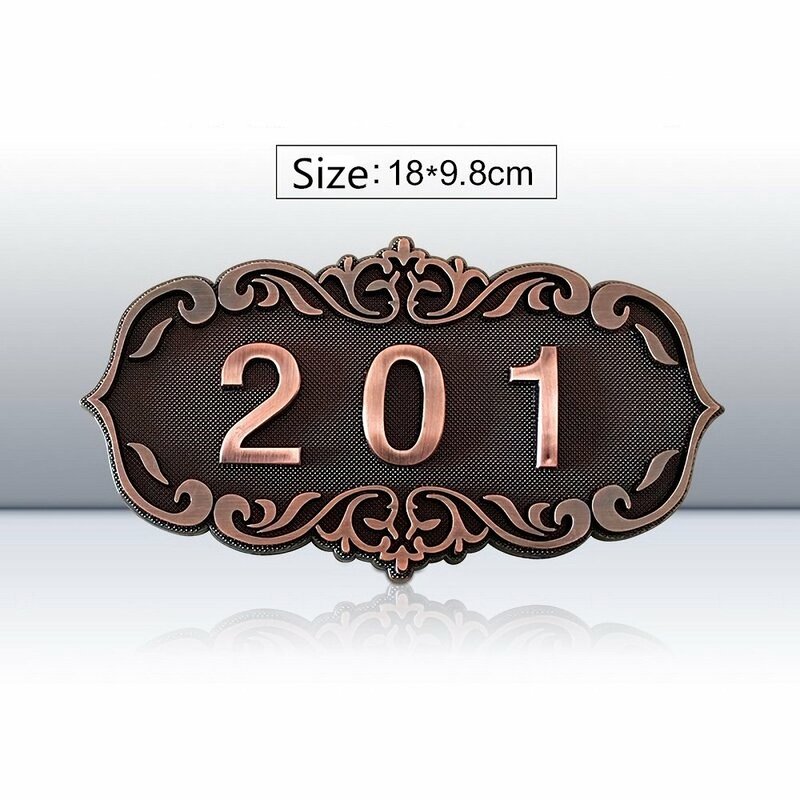 Comfort House Address Plaque Personalized with 5 Solid Brass Numbers. 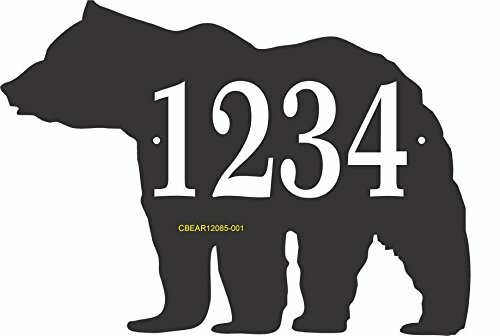 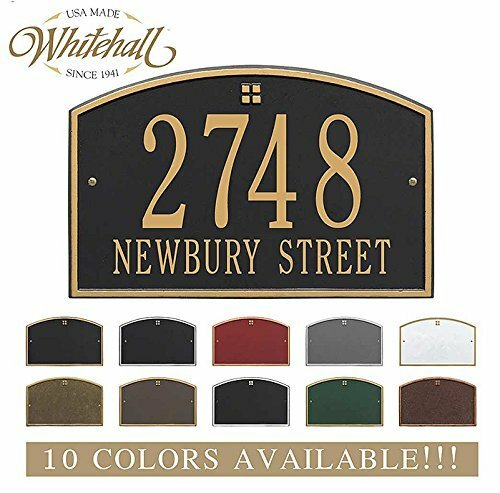 Custom House Number Sign P1025sb. 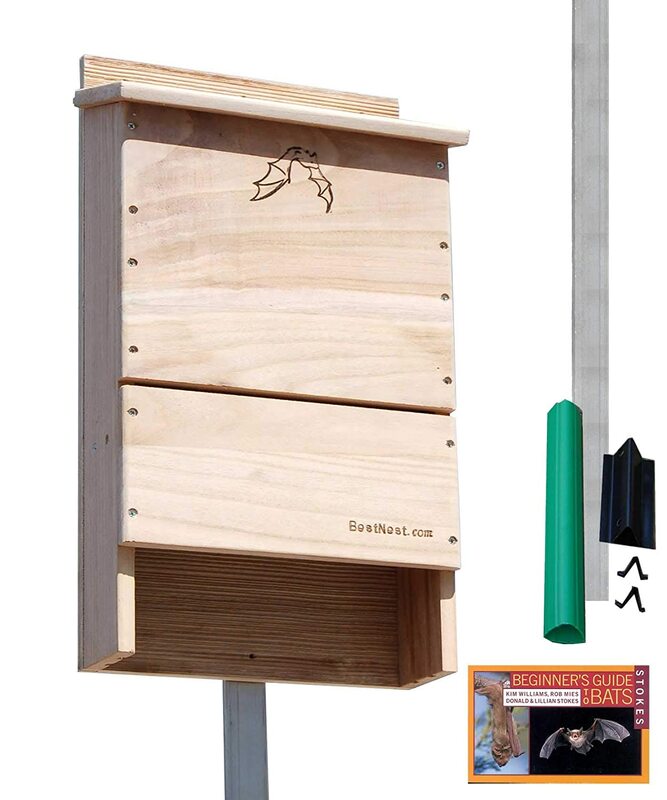 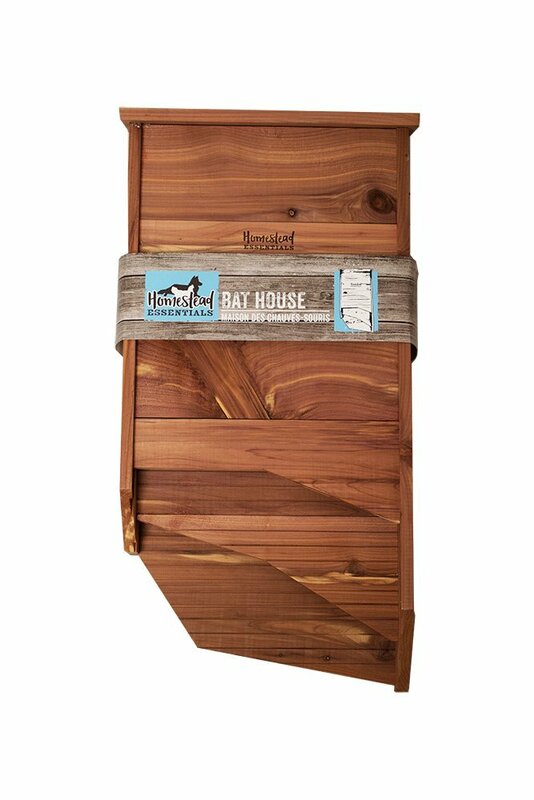 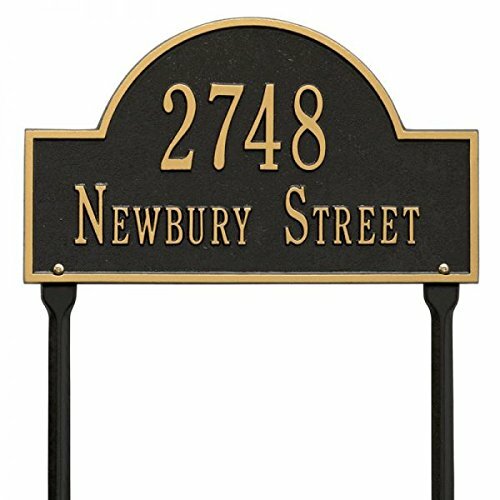 Comfort House Lawn Mounted Metal Address Plaque with Arch Top. 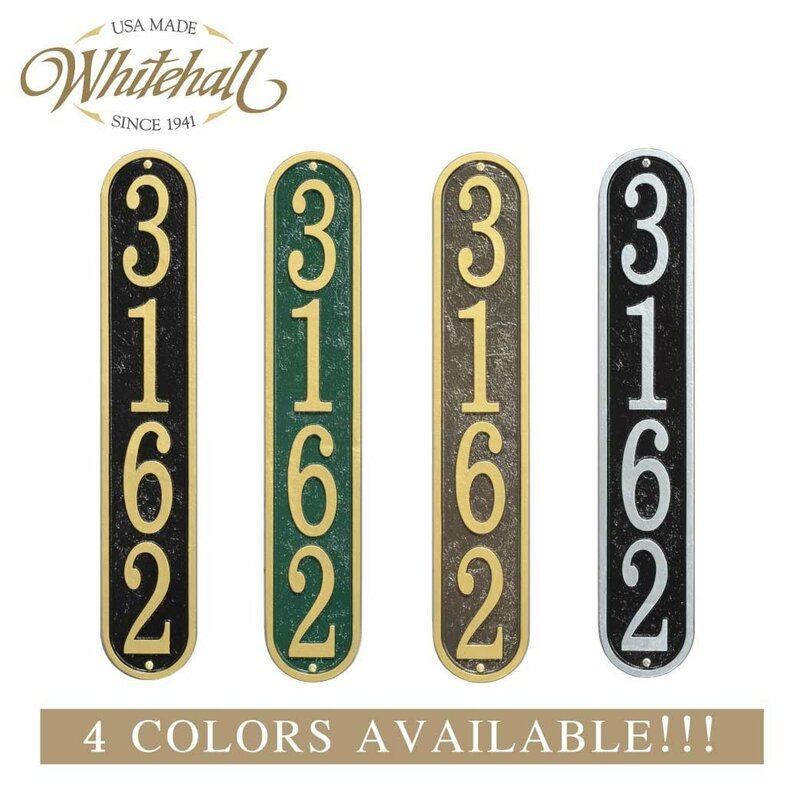 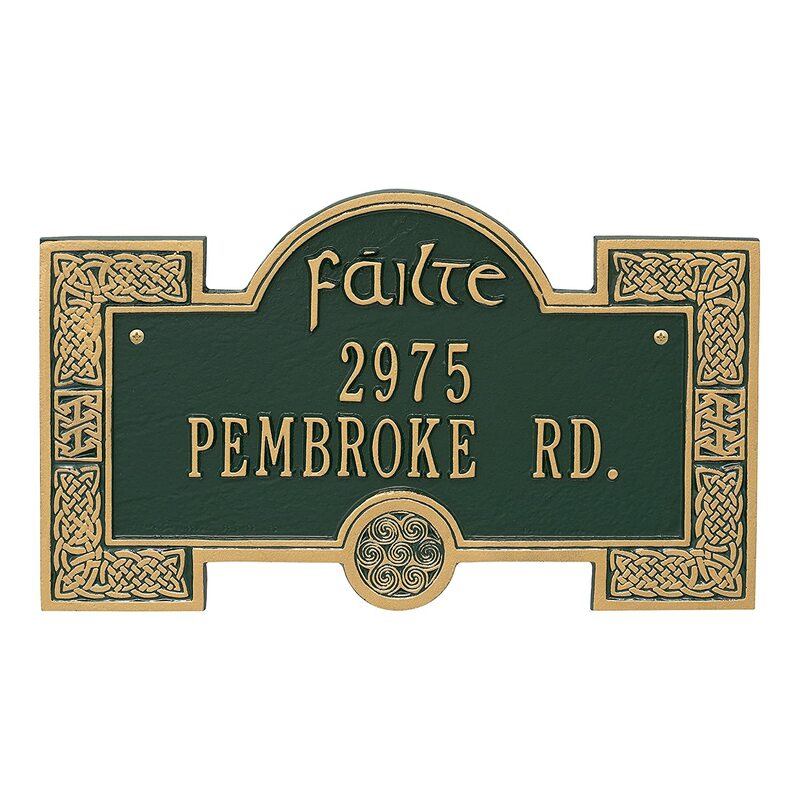 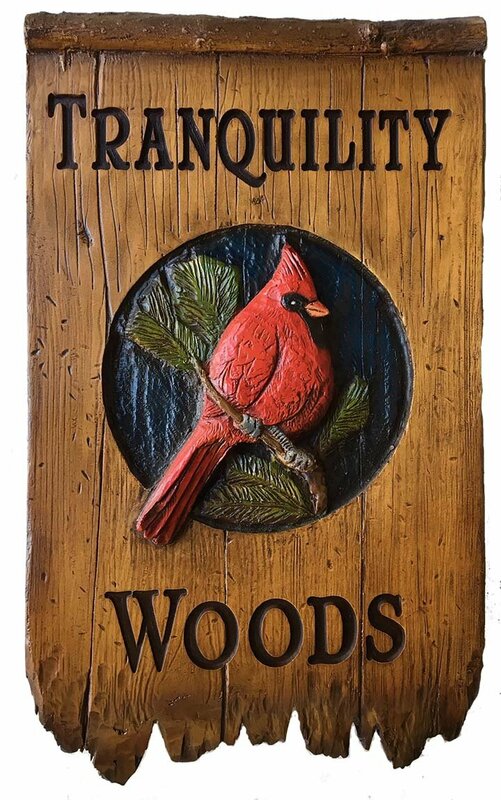 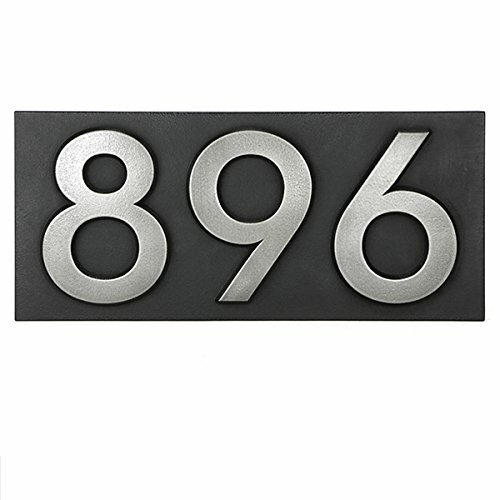 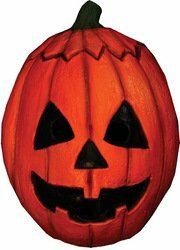 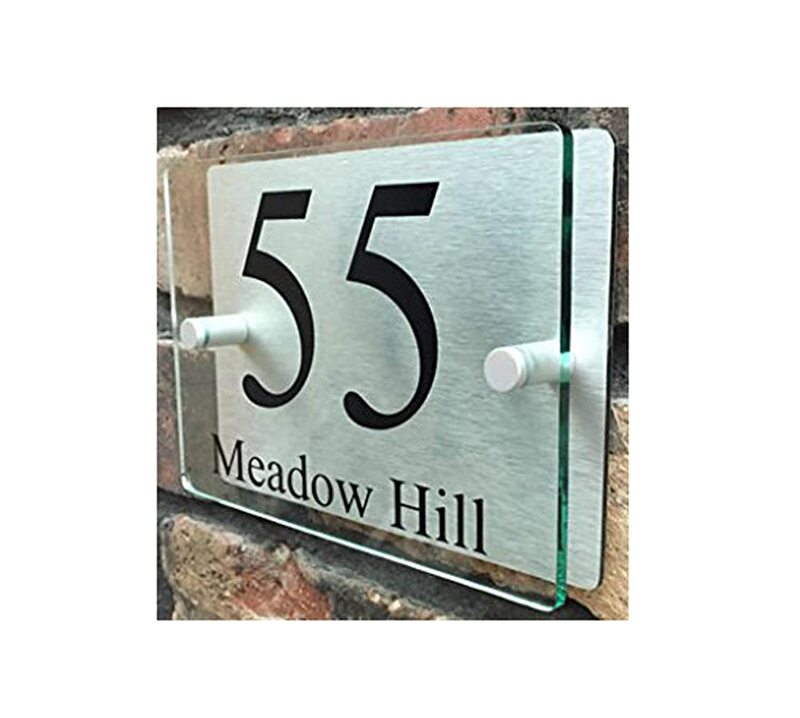 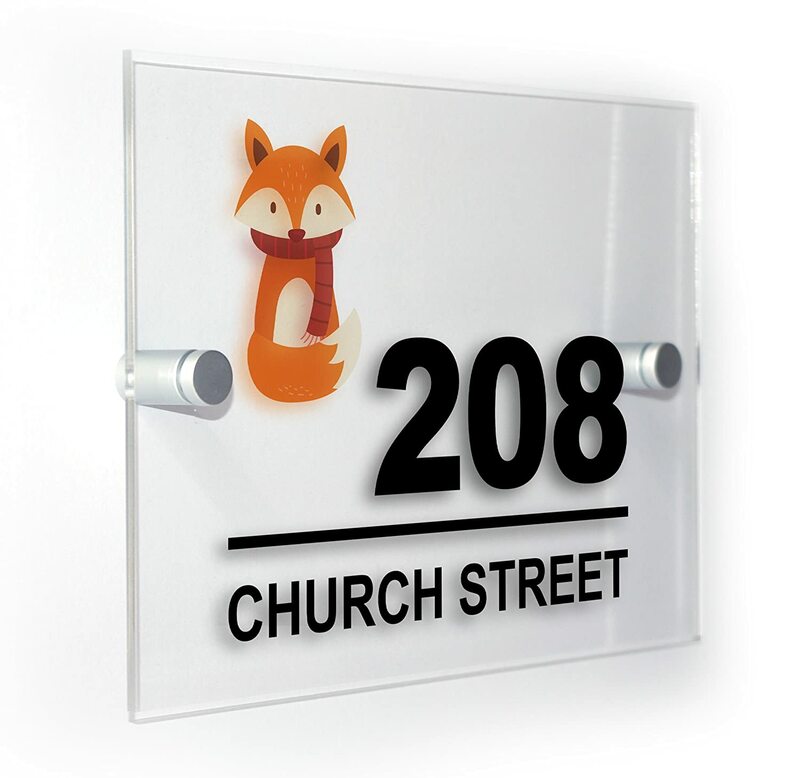 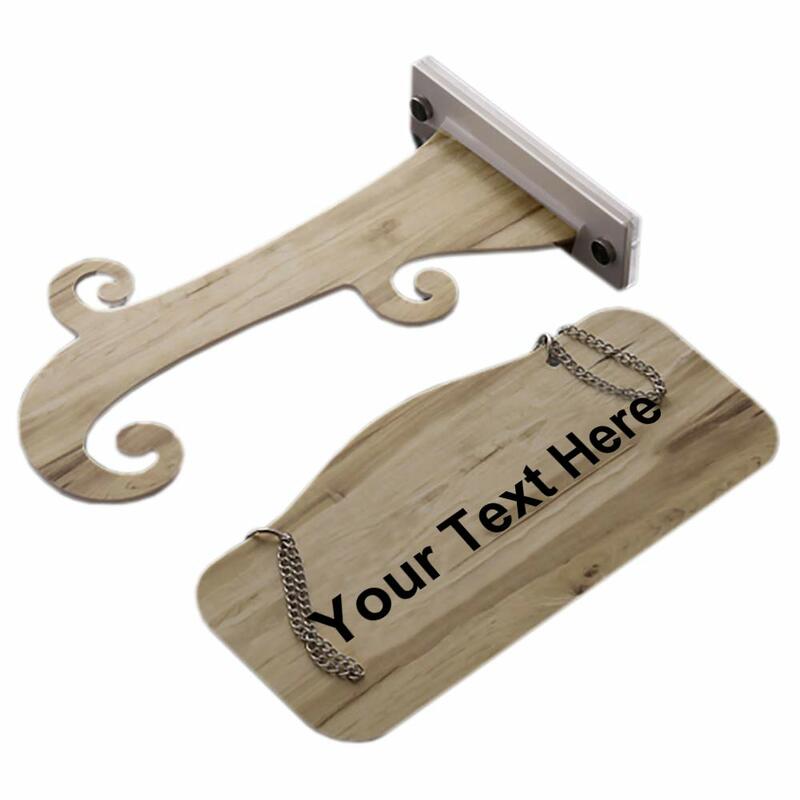 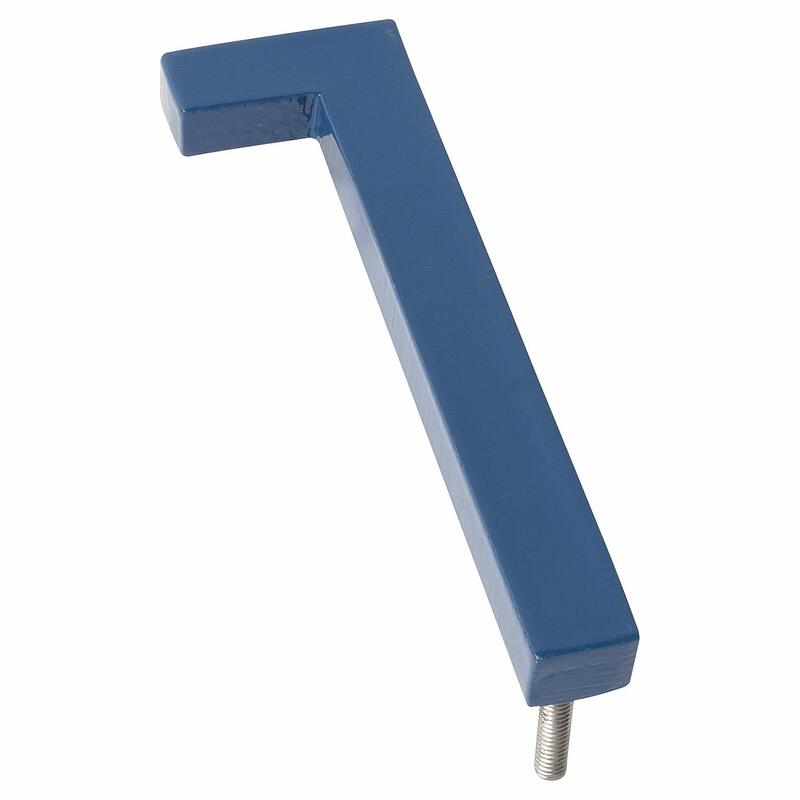 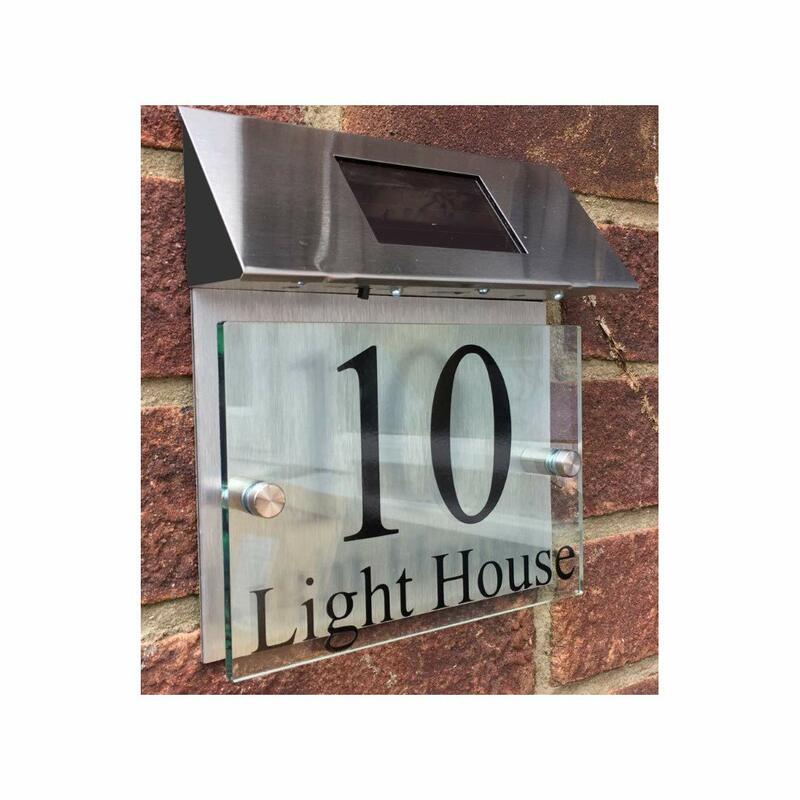 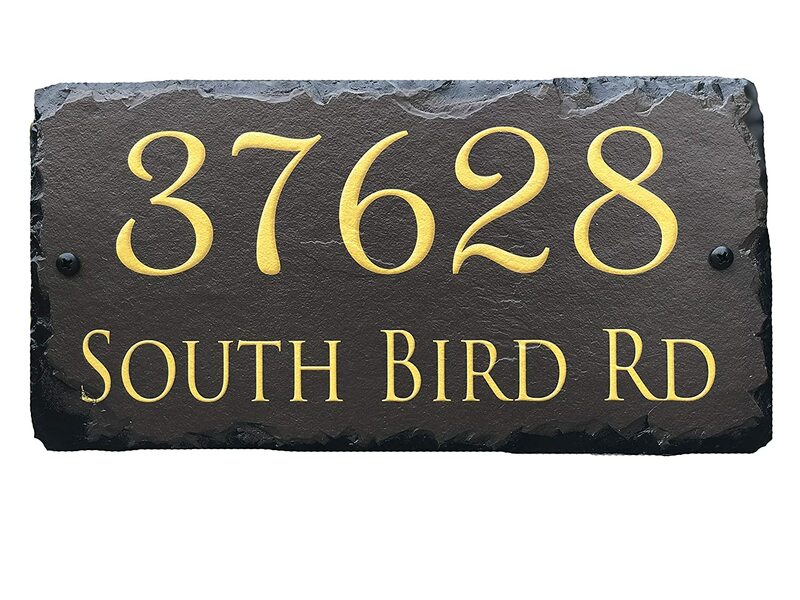 Custom House Number Sign Displays House Number and Street Name 63159F2.